In the earliest days when lakes, streams, and rivers served as highways through the wilderness, the nation that ruled the mouth of the Oswego River dominated North America. The convergence of the Oswego and Lake Ontario was a key point on the most navigable water route from the east into the interior of the continent. It was there that Fort Ontario was built. Just as quickly, however, the fort was destroyed, as competing armies seized control of this valuable point. Time after time the fort was rebuilt, and over the years it acquired a history as unique as its location. 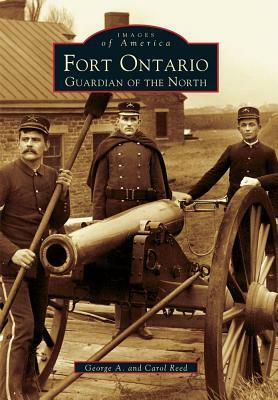 Fort Ontario: Guardian of the North is the first history of this remarkable and resilient fort, credited with being the oldest continuously garrisoned post in the United States. The book chronicles the many transformations of Fort Ontario from the time it was built in 1755 up to its present-day status as a New York State Historic Site. With paintings, maps, photographs, and informative text, the book brings back the fort's years as a company post, its World War I role as a major army hospital, and its World War II years as a shelter for Jews fleeing the Holocaust the only wartime refugee shelter in the history of the United States.